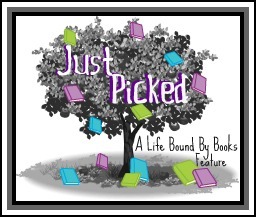 Synopsis: From the creator of the national bestseller It's a Book comes a timeless story of family history, legacy, and love. Grandpa Green wasn't always a gardener. He was a farmboy and a kid with chickenpox and a soldier and, most of all, an artist. In this captivating new picture book, readers follow Grandpa Green's great-grandson into a garden he created, a fantastic world where memories are handed down in the fanciful shapes of topiary trees and imagination recreates things forgotten. In his most enigmatic and beautiful work to date, Lane Smith explores aging, memory, and the bonds of family history and love; by turns touching and whimsical, it's a stunning picture book that parents and grandparents will be sharing with children for years to come. 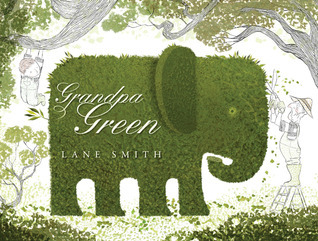 Grandpa Green is a Publishers Weekly Best Children's Picture Books title for 2011.
Review: 4 Stars - Grandpa Green is the second book by Author & Illustrator Lane Smith that I’ve had the pleasure of reading. The story is fantastic and the graphics are utterly captivating. And while I took a lot of time looking over the art that had me hooked, the story and the message wasn’t lost at all. Picture books with a message of family and history like this one will have kids ready to ask questions about their parents and grandparents. It’s a great tool to use as a conversation piece for maybe kids a little bit older when it comes to this title and all that the actual story is about. The meaning is there, but I think that younger kids might be a bit lost. However, it’s not to say that this is one to keep from them. I think Grandpa Green would be a perfect book for kids and grandparents to share as they read and walk through the fantastic topiary garden as the boy in the pages of the book learns all about his grandfathers’ life from the beginning and more. Enjoy.